Go to suddenlink/careers or suddenlink.com/careers to land on the Suddenlink careers page which actually presents you the Altice USA employment application page since Altice has brought together two best-in-class cable and telecommunications companies – Cablevision and Suddenlink. 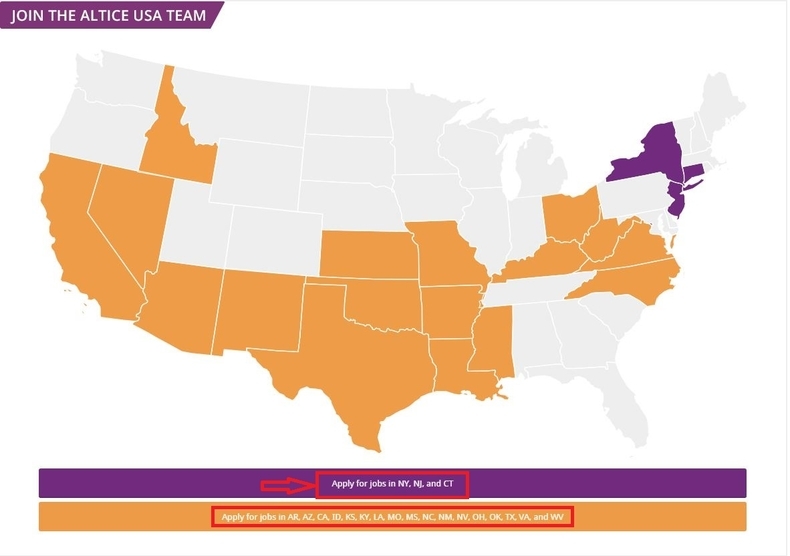 You can click Apply for jobs in certain states to move on with your online Suddenlink job application. 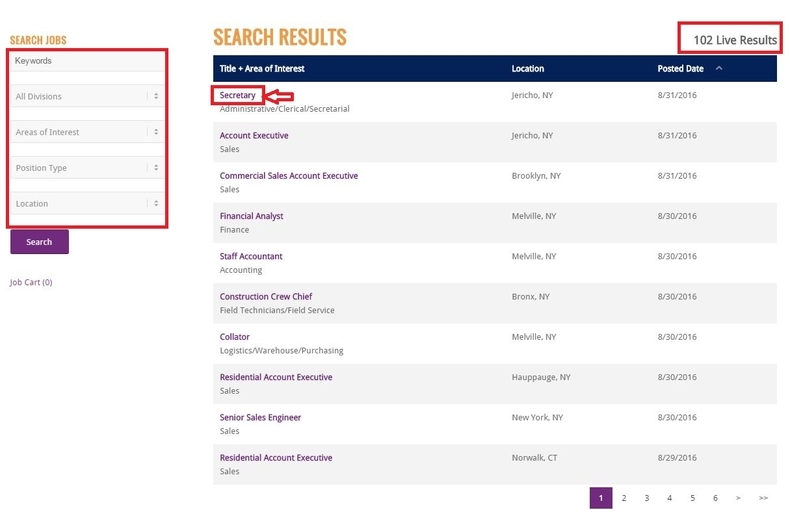 After you click Apply for job in certain states, you're shown live search results on the page below. 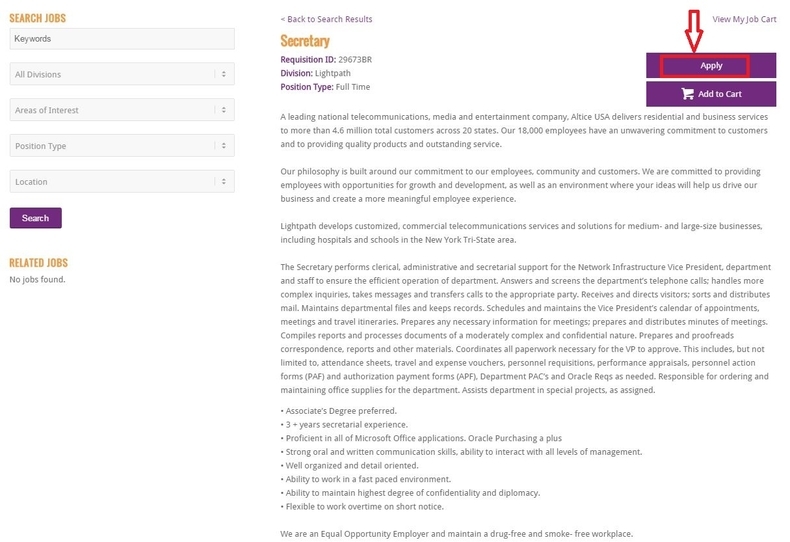 You can choose to pick one that fits you or you may also use the search criteria and click "Search" on the left side of the page to help you specify one job that best suits your appetite. Here we just pick one job title and click in. In this step, you just need to read the job description and take further consideration about whether you are fit the position well. If you are pretty sure to be engaged in the job, just press the Apply button to go on with your next application step. Enter your e-mail address and password to access your profile and job seeker tools. 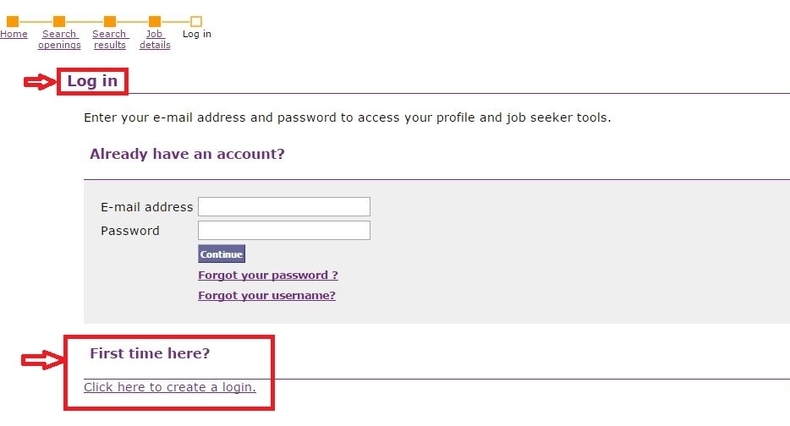 If you are a new applicant, you can click the link shown at the bottom of page to create a new account by entering your e-mail address and choosing a password which will enable you to log in and access your information in the future and then select security question(s) and entering your answer(s). Select a method to add your profile from building or selecting profile using this site or from your LinkedIn account. Click "Continue" to move on to the next step. Here we choose to build or select profile using the site. Answer some questions presented on the page and click "Continue" to go to next step. Think carefully before you click "Yes" or "No". 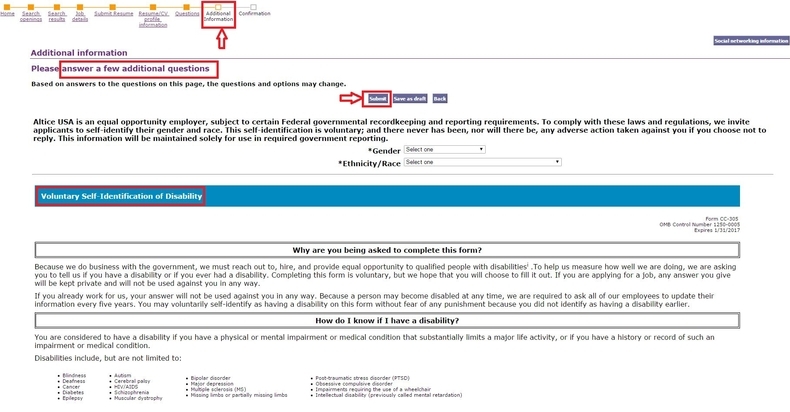 Step 8 asks you to fill out additional info by selecting your gender and ethnicity/race, completing the Voluntary Self-Identification of Disability and Veteran Status and selecting the source of hearing about the company. After you make sure all the required fields are filled in, you can click "Submit" at the top or the bottom of the page to go to the next step. All work done, you'll be led to the page where you can see the notification that you've successfully submitted to the job. Should your qualifications match their needs, the company will contact you directly. Click suddenlink.com/careers to apply for Suddenlink jobs online.